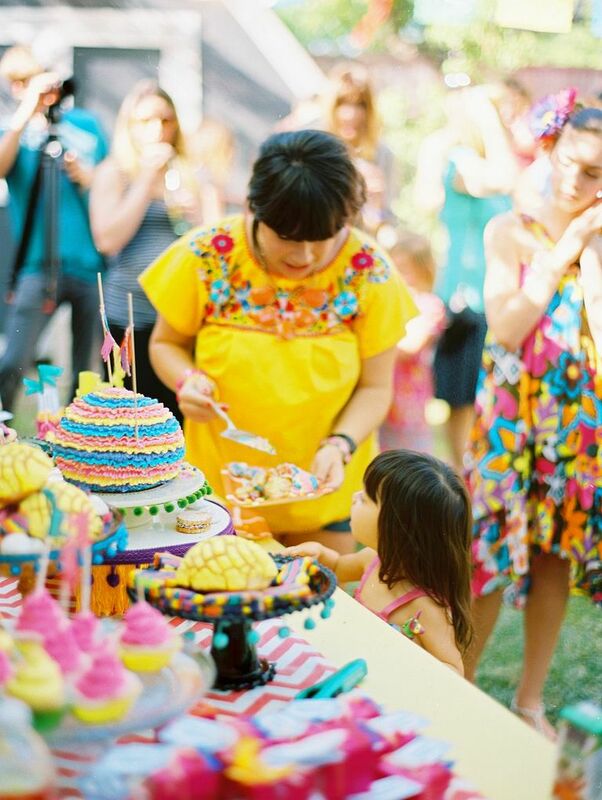 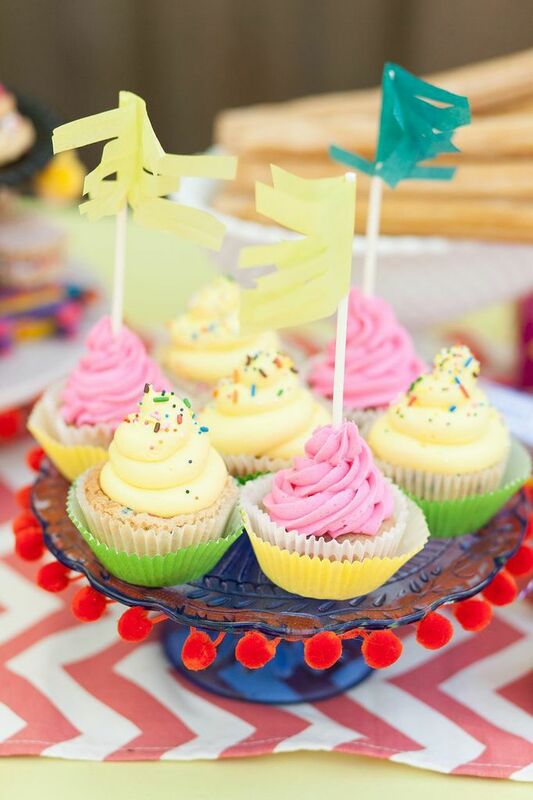 Alicia Rico of Bows and Arrows knows how to throw some pretty epic parties, especially when it comes to her kiddos. 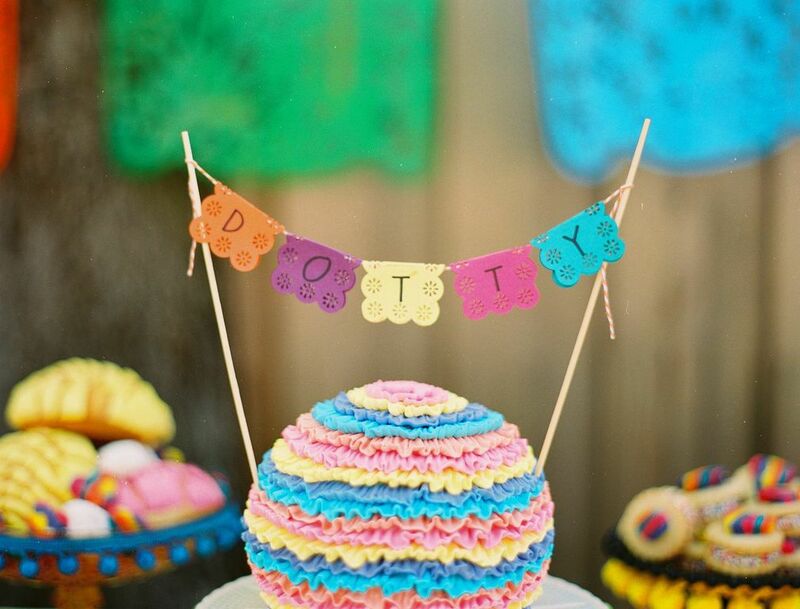 Dotty's third party wasn't just a party, it was a F I E S T A! 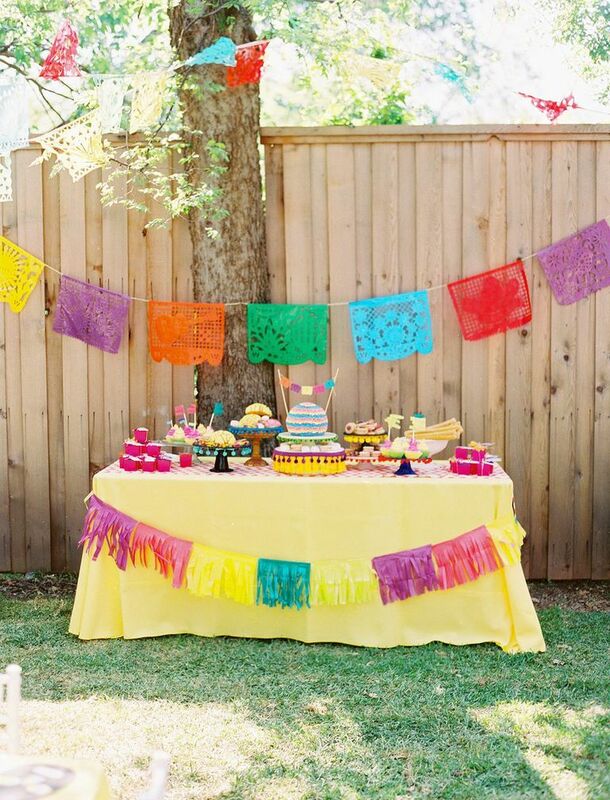 Papel picado banners, mini floral wreaths, mariachis, a kiddo taco stand...need we say more? 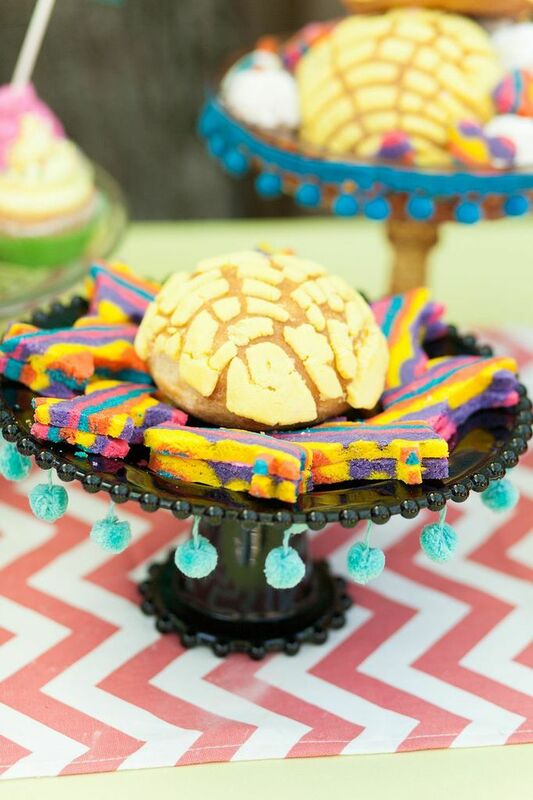 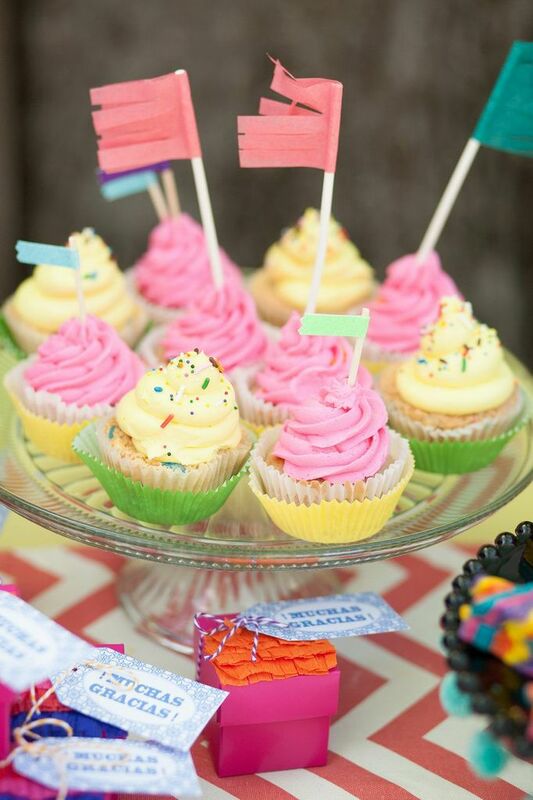 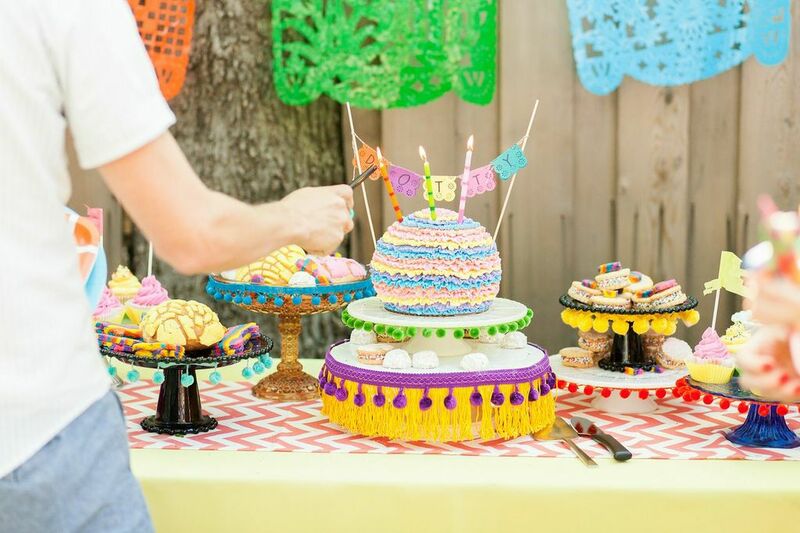 We knew we had to take the fiesta seriously for this creative mamasita, so we went all out on a brightly colored dessert bar: pinata burro cookie sammies with candy inside, confetti cupcakes, colorful cookies, and a big ol' pinata cake with multi-colored buttercream ruffles. 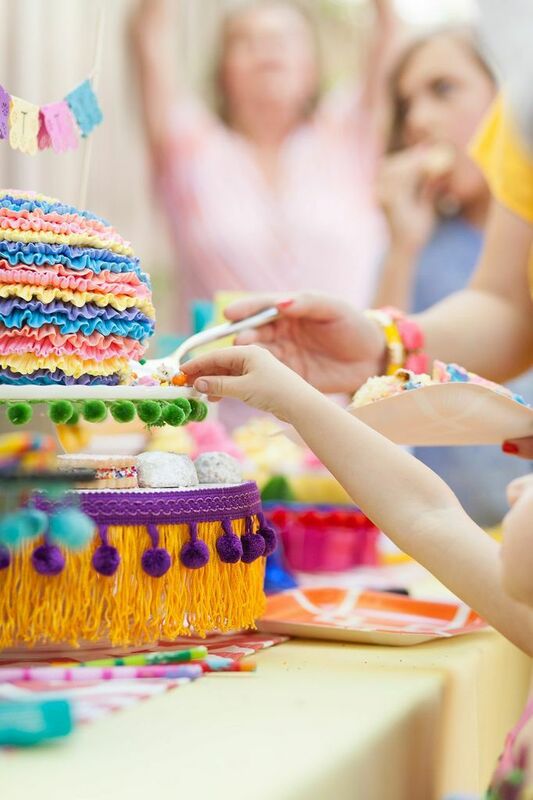 When little Dotty cut into the cake, a variety of tiny candies spilled out. 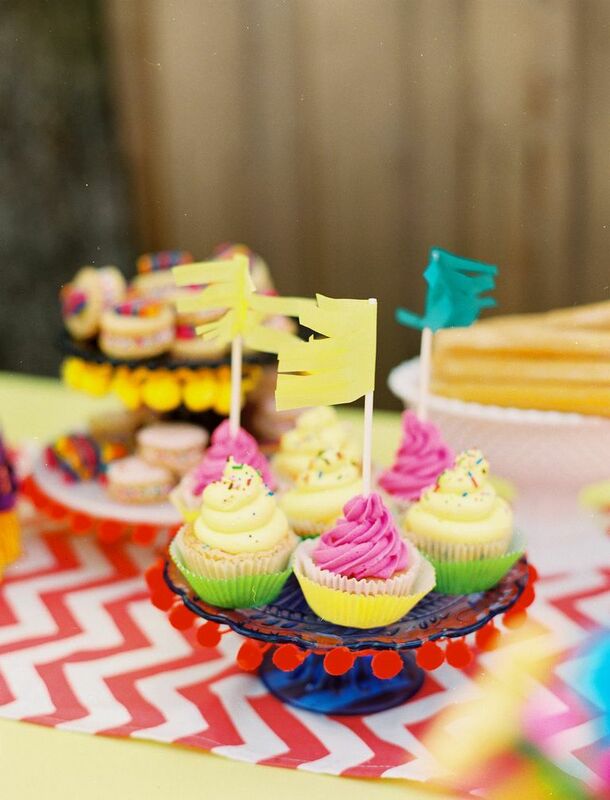 SURPRISE! 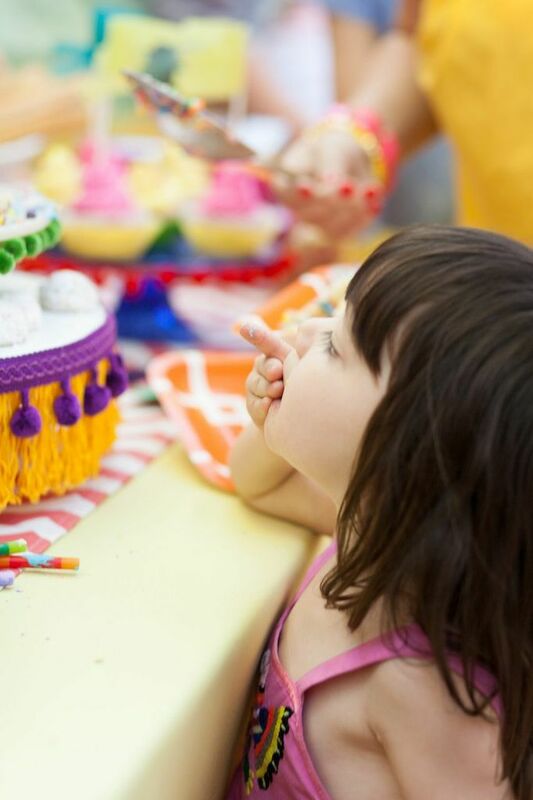 We love projects like this. 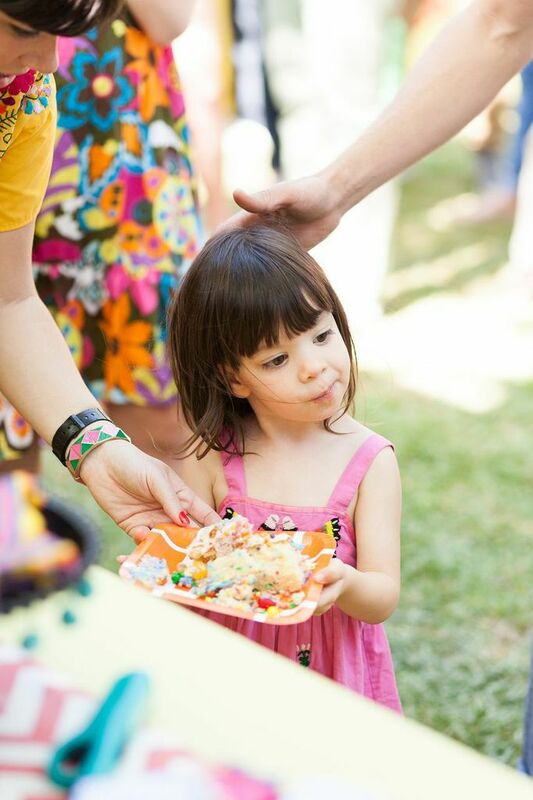 It's pretty hard not to be filled with happy happy joy joy when you are surrounded by sweet happy kids and mini taco stands! 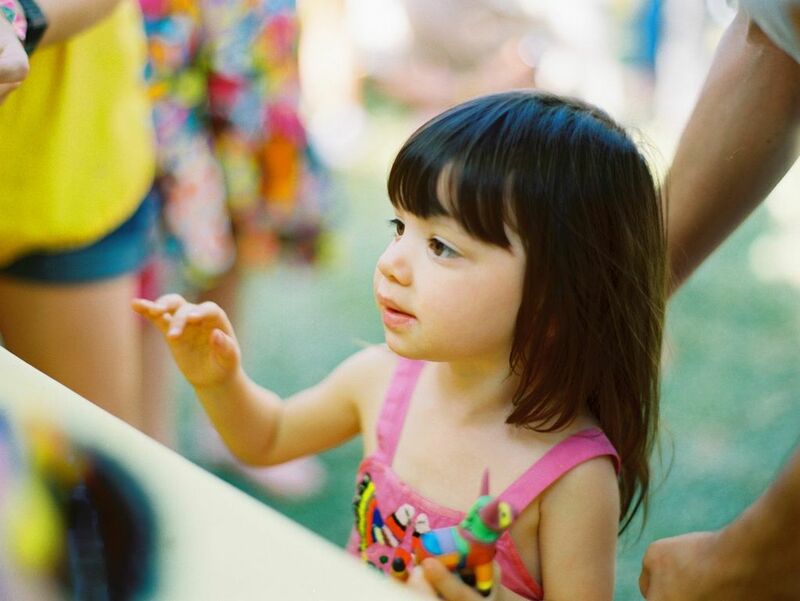 All photographs by Ben Q Photography. 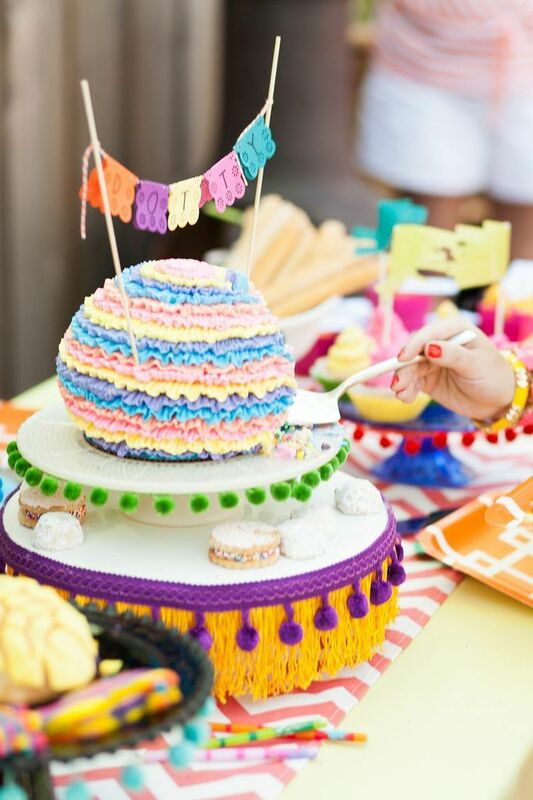 These images were featured on one of our favorite blogs for party inspiration: 100 Layer Cakelet!